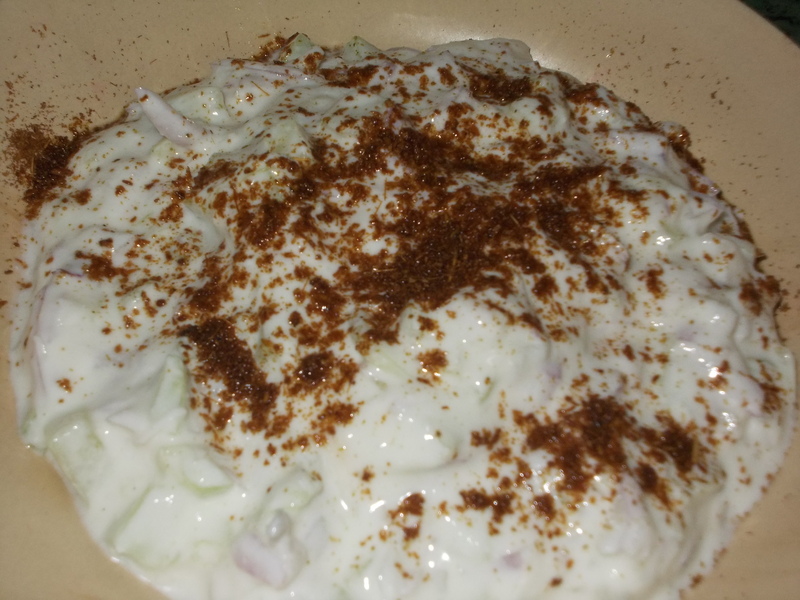 Famous Cucumber Raita recipe combined with yogurt & cucumber along with spices & onion is a delicious condiment, as well as very healthy too. Roast jeera & dry chilli. Make powder of this. Keep aside. Add cucumber, onion, sugar, black salt & mix well. Spread the before made powder. Raita is ready to serve.